We have come to be known as Upper King’s Original Sports Bar. We moved into our new 480 King Street location back in November of 2015 and we are excited to announce the newest addition to the Charleston Beer Works brand. 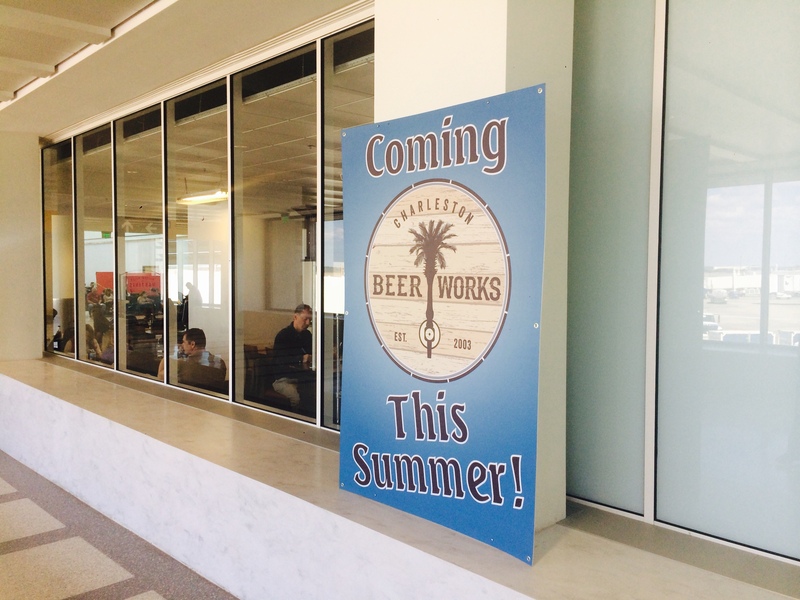 Coming Summer 2016, Charleston Beer Works will be getting a space in the CHS Airport. The new location will be in Terminal A, but it is past security, so even those flying out of Terminal B will have access. Final designs are in the works, but it will include several large screen televisions, a bar area and tables and chairs for dining. Just like the downtown location, the CHS Airport Charleston Beer Works will exude the relaxed sports bar vibe, with a huge selection of local beer and fresh food choices. Chef Jason Dupree is creating a brand new breakfast, lunch and dinner menu for the location. There will also be a grab-and-go refrigerated food case for when making a flight or grabbing a cab puts patrons on a time restraint.